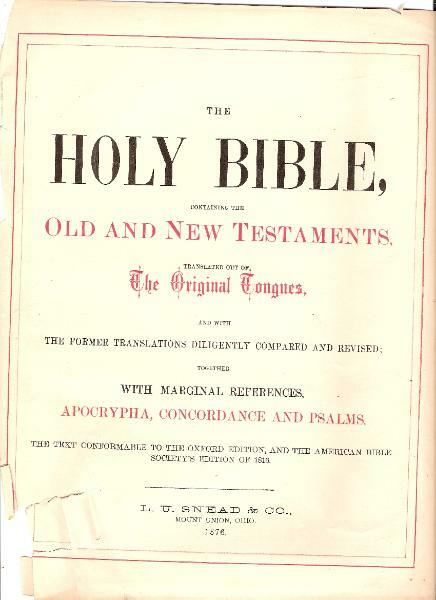 Holy Bible in English; L. U. Snead & Co., Mount Union, Ohio, 1876. 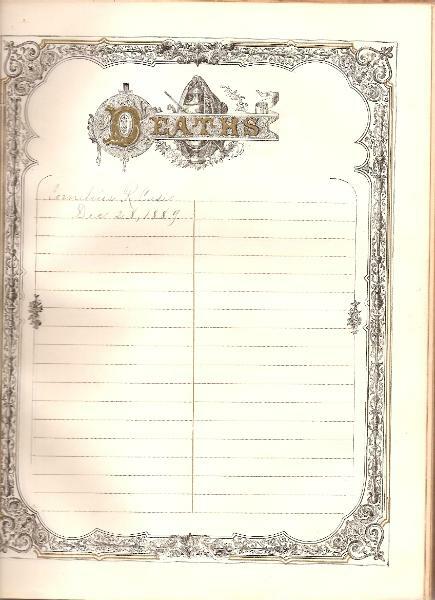 Cornelius R. Case July 1, 1844. Emma J. 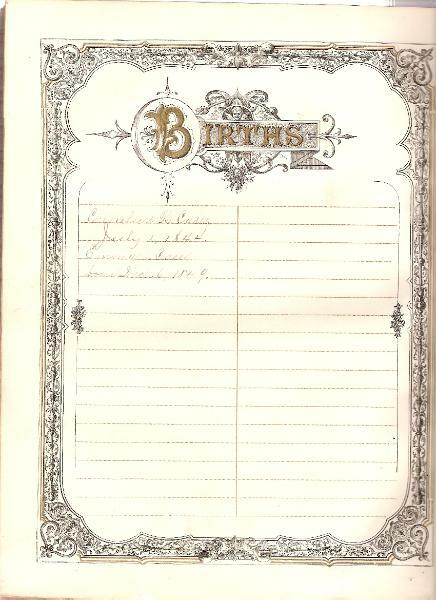 Case born Dec. 16, 1849. Cornelius R. Case Dec. 21, 1889.